Tendonitis of the knee (also known as patellar tendonitis or “jumper’s knee”) is a highly common injury among athletes. Several well-known professionals — including third baseman Brandon Inge, pitcher Oliver Perez, and tennis player Rafael Nadal — have all struggled with chronic cases of patellar tendonitis throughout their careers. Because tendonitis of the knee is common and comes on gradually, many athletes assume that they don’t need to take their recovery from it as seriously as they would need to take a more acute injury like an ACL tear. In reality, though, chronic tendonitis can be incredibly debilitating and could potentially sideline an athlete completely. Read on to learn about some of the most common mistakes athletes make when trying to manage their tendonitis and what you should be doing instead. Many athletes suffer from patellar tendonitis without even knowing exactly what it is. Patellar tendonitis occurs when the tendon that connects the tibia (shin bone) and patella (knee cap) becomes irritated and inflamed. Patellar tendonitis most often results from repetitive knee strain. This repetitive strain creates several small tears in the tendon. Over time, these tears weaken the tendon and cause it to become inflamed. Symptoms of patellar tendonitis often come on gradually and usually aren’t noticeable right away. 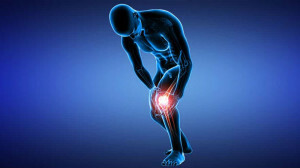 When they do start to notice symptoms, most people report experiencing some pain and tenderness around their kneecap, especially when they’re getting down into or standing up from a squatting position. Some also notice swelling and a burning sensation.